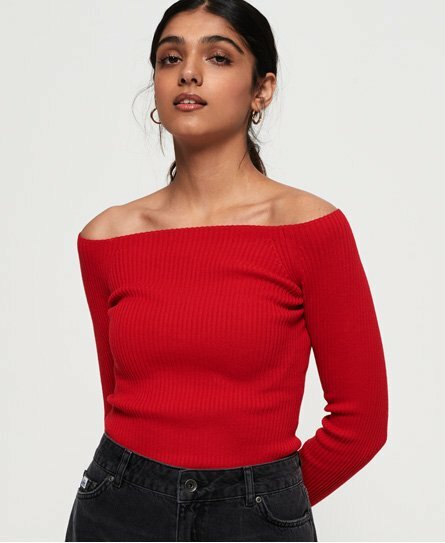 Superdry women's Lucie bardot knit top. This knit top features an overall ribbed design, bardot style neckline and rolled cuffs. Finished with a metal Superdry badge above the hem.